We experiment with some of the most advanced materials on Earth, but sometimes millions of years of evolution has done the job for you. Merino sheep are bred to survive scorching summers and freezing winters, so their fleece has evolved to help them stay cool in temperatures of over 30°C, while staying warm in -10°C. So when you wear Merino fibres they respond and adapt to the conditions you find yourself in – either trapping or releasing heat depending on the temperature and humidity of your skin. 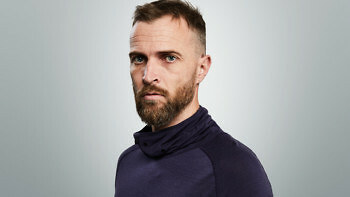 Built from an ultra-fine and responsibly sourced Merino, this adaptable high collar baselayer can be worn on its own or as part of our Planet Earth Merino system. It’s high wicking, breathable, odour resistant, highly elastic, and keeps you insulated even when wet. 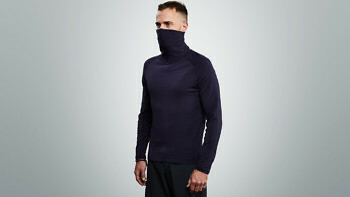 We shot the Planet Earth Baselayer on runner, kayaker and outdoorsman Tim Zeegers, who is 6ft 1 and wearing size medium. 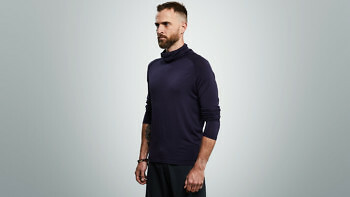 The baselayer is a slim fit and can be worn with the Planet Earth T Shirt or Planet Earth Hoodie. If you’ve already got our Condition Black Ceramic Baselayer you’ll find this has a similar fit. The Planet Earth Baselayer adapts to life in the city as easily as it thrives running, climbing or skiing in the mountains. We built a high integrated collar that can be pulled up - so whether you’re in the Arctic, the desert, or the city, you can protect your face from the heat, the cold and the weather. 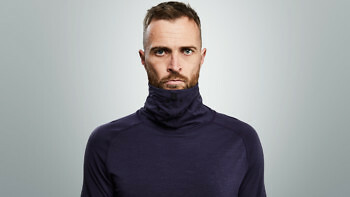 When you’re inside you can wear the baselayer with the collar down like a regular top, but still be ready for somewhere a little more hostile in a second. To build a baselayer that can work anywhere on Earth you need to start with an exceptional material, so we built ours from an ultra-fine Australian Merino. 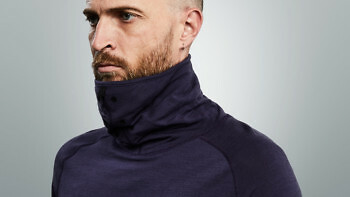 The baselayer is part of our Planet Earth Merino system – a hoodie, baselayer and t shirt built from Merino blends that are designed to work together. 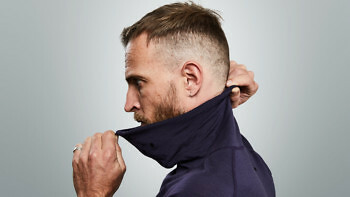 With the baselayer under the hoodie, you’ll have Merino next to your skin, and Merino exposed to the elements, but with an ultra-soft layer of fleece from the underside of the hoodie trapped in between for extra warmth. Staying warm is all about trapping as many pockets of air next to your body as possible and that’s what Merino is built for. Every Merino fibre is hollow which means you have millions of air pockets trapped next to your skin. And as the natural curl of wool fibres traps more air than straight fibres, the microscopic texture of the fabric itself will also retain heat. 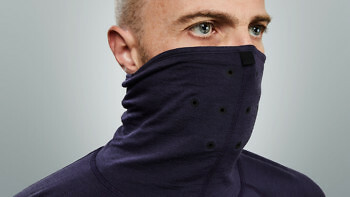 The baselayer’s engineering comes into its own in cold terrain. It’s soft, stretchy and high wicking so you can wear it on its own if you’re looking to go fast and light. Merino also stops you overheating in higher temperatures as it simply releases its warmth if you’re getting too hot. Merino wool has to keep sheep cool even when the temperature goes over 30°C, so the Merino fibre naturally absorbs the moisture from sweat and disperses it to start releasing heat. 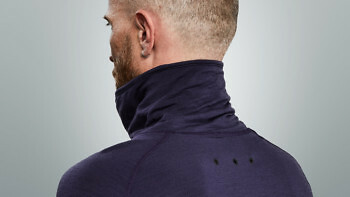 On the back of the baselayer we've added 6 welded vents. We built our fabric from scratch in Italy, blending elastane with one of the softest substances in the world. These same Merino fibres are naturally elastic which means the Planet Earth Baselayer will stretch with you whatever you’re doing. They can also be pulled with a lot of sudden force without breaking and still return to their original shape. 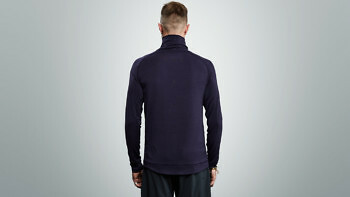 The high collar is built for speed and practicality. You’ll find 8 laser-cut and welded breathing holes over your mouth, and a pull tab on the rim of the collar for pulling it up and down. The underside of the Merino is soft on your face and fast drying. The collar is highly elastic to fit different face shapes, so the second you want your mouth and nose protected, you can whip it up over your face. Planet Earth Hoodie: Granite edition. 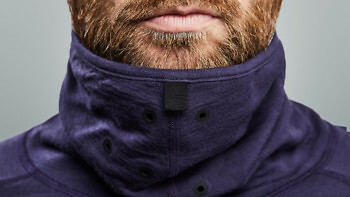 The Merino hoodie you can wear anywhere from the office to the Arctic.